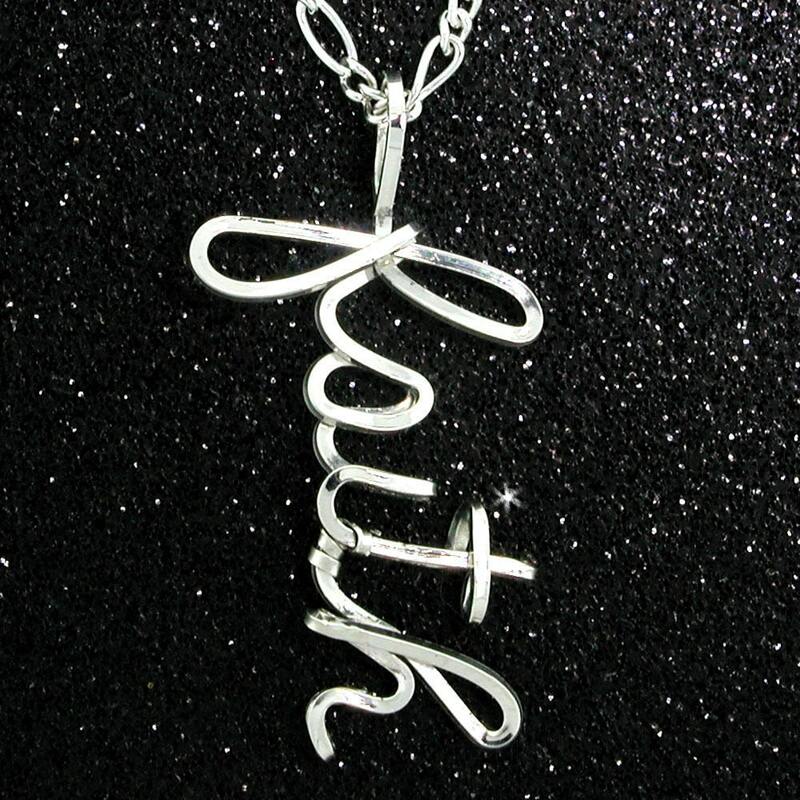 I created this drop name necklace for the lady that want to be "Just a Little Different". 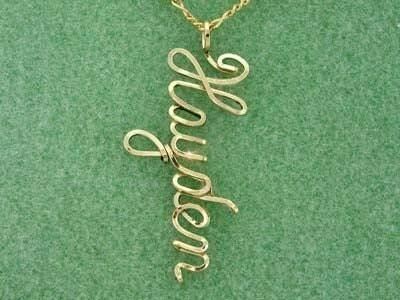 Any item that we hand make can be created with any name you want (up to 9 letters. Every item I design can be made in gold OR sterling silver and comes with a 14k gold filled or solid sterling silver Figaro chain 16" or 18". This listing is for a sterling silver designed in a heavier 040 Silver Wire.